This is a sequel, so this review may contain some spoilers if you have not read book one! “Will has always been the brighter burning star, the one to catch attention — but Jem is a steady flame, unwavering and honest." A truer quote could not be pulled from the pages of Clockwork Prince to describe its two leading men. Sure, there is a plot - a mystery to solve before time runs out! - and there are plenty of other great characters in the book, but that's not what readers will remember after reading this. Readers will recall being entranced by one of the most heart wrenching love triangles in young adult fiction. 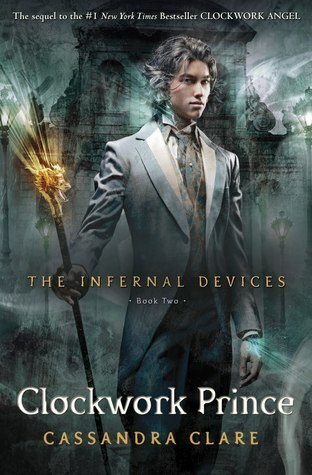 In book one, Clockwork Angel, we see the back and forth between Tessa and Will, the cocky, beautiful, in-your-face bad boy. 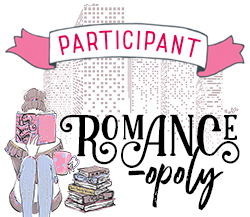 We see what seems to be the beginning of a flirtation between Tessa and Jem - the quiet, reserved, handsome, better man - but its not really until this book that this becomes a full-fledged triangle. Clare's ability to twist the knife is wonderful and I was in tears at several places throughout the story. Both Will and Jem have sad stories accompanying them and they are both equally in love with Tessa. I feel torn between the two, unable to really root for one over the other since no matter who wins Tessa's heart, the pair of almost-brothers will never be the same! Will is the tortured hero type, the one I typically find myself pulling for in books and movies. He tortures Tessa with his love/hate feelings and actions. He is self-deprecating, wise-cracking, and hell on wheels. Once we discover Will's secret, though, we have a better understanding of where these personality traits come from and we know we have quite the ride in store for us as readers. “He’s very broken,” said Magnus. “Like a lovely vase that someone has smashed." Jem, while the clear 'better choice' by classic standards, is thoughtful and good-natured - but don't let that fool you into thinking he is some kind of weakling. Jem is a tough-as-nails Shadowhunter as well and we get to see him work some badass-ness with his dragon-head cane. Jem's secret isn't really a secret anymore since by the end of book one we have learned that he is dying of necessary addiction to a demon powder. I have never felt so torn between two YA love interests before, so the fact that Cassandra Clare makes me waver so is pretty amazing! Clockwork Prince picks up almost where book one left off, with Tessa left in a bit of a lurch after the surprising conclusion to the story - the identity of the Magister and his "spy". In this installment we discover the identity of yet another spy in the Shadowhunter world, and I must say I was pretty shocked and caught off guard. We also get to enjoy more of 1800's London with a Shadowhunter twist. I love the dialogue that Clare writes for her character in this series, so many serious moments with wonderful, heartfelt words; but also some great comedic one-liners. “Reparations,” said Jem very suddenly, setting down the pen he was holding. In this one we learn a little more about Mortmain's past as the search for him gets a deadline - another Shadowhunter has decided he wants the Institute for himself and therefore Charlotte must hunt down Mortmain and his automaton army in two weeks time or the Institute belongs to him. And the automatons! We get to read about a few different 'models' here and I really enjoyed this infusion of steampunk into the world of the Shadowhunters and Downworlders. One character that stands out for me is Magnus Bane, who you will remember from The Mortal Instruments series if you have read it. He is just as clever and personable in this series, and we see the events that may have lead to him being so helpful for the future Shadowhunters unfold throughout the story. I look forward to seeing more of him, along with Henry, Jessamine, Gideon, and Sophie in <="">, which just doesn't come out soon enough in my opinion! “You haven't broken his heart yet, have you?" I agree with this review so much. I mean, usually the choice in the love interests is so obvious to me, but this one I could go both ways. I really enjoyed this book !